after paying for the yearly membership. That's probably the case. I haven't been able to use a custom avatar in years. 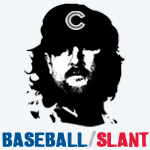 I'm kind of digging the "Che Guevara In A Cubs Hat" look. I may copy it over to other boards. I'm boycotting using an avatar until I can have Retro Larry Bernandez as one. Can someone check to see if the changing avatar feature is working?? Have tried a few different changes and keeps saying "unable to save". Have never had a problem. It dawned on me that my yearly membership probably ran out.....I will send it a bit later. Still happening...and my file is only 150x160 18.8 kb so it's under the max limit. Seems as if this is still a problem. Any word on this from our great leaders? Tennessee Titans. Duke athletics. New York Yankees. Carolina Hurricanes. Portland Trailblazers. Mission has fixed this problem.